Retro is a word usually bringing warm and fuzzy feelings of nostalgia. But for the more than 80 million cats living in North America, the word retro is anything but warm and fuzzy. Retroviruses like Feline Leukemia Virus (FeLV) and Feline Immunodeficiency Virus (FIV) can be devastating to your cat. More frightening, many cat owners are unaware of these two significant and very deadly feline diseases. Hidden from the body's defenses, retroviruses can remain dormant for months or even years. These viruses have RNA as their genetic material but share an ability to switch RNA into DNA, inserting DNA into the host's genome. Other retroviruses include HIV, the cause of human AIDS. Like the AIDS virus, FeLV and FIV hinder the host's immune system, making the cat more susceptible to common infections. Feline Leukemia is associated with more illnesses and deaths of cats than any other infectious agent. Although not actually a cancer, it can cause several types of cancer in your cat. FeLV is considered a "social contact" disease generally spread through intimate contact between cats, such as grooming or sharing water bowls. Pregnant or nursing cats can pass the virus on to their kittens as well. 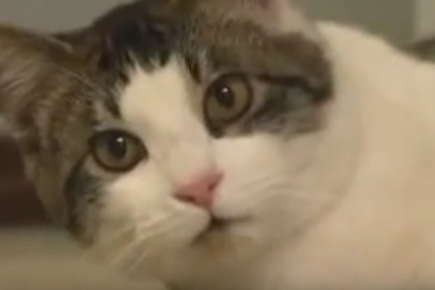 Studies estimate the prevalence of FeLV in the United States at two to three percent of the cat population, meaning that 1.5 to 2.5 million cats carry and spread the virus. The FIV virus is less prevalent but still may infect almost one million cats in North America. Typically spread by fighting, FIV virus is caused by bite wounds between unfriendly cats. However, It should be noted that neither disease is spread from cats to people. Cats carrying either of these viruses may not show any signs of illness. In fact, due to the ability of these viruses to hide in the cat's cells, many cats can go years without any apparent symptoms. This can be a problem when new cats are introduced into the household, or if your cat ventures from home for a few days. The American Association of Feline Practitioners (AAFP) recommends testing cats routinely. Testing is considered the mainstay of preventing transmission of both diseases. Any sick cat should be tested, regardless of any negative results from previous testing. Fortunately, there is good news. First, both of these viruses can't survive outside the body for long periods of time, making transmission from the environment unlikely. Second, it is possible for cats with either disease to live for many years. Finally, in some cases, vaccinations can help to prevent the spread of these diseases. Previous vaccine recommendations have reduced the incidence of FeLV and current guidelines promote testing and wellness protocols over indiscriminate vaccination. Although the AAFP highly recommends testing cats for both diseases prior to vaccination, the retrovirus vaccines should only be used in cats that are at risk for FeLV or FIV. Your veterinarian will help you make the right decision about the need to vaccinate your feline friend. You can see all the guidelines at www.catvets.com. Feline Leukemia (FeLV) and Feline AIDS (FIV) are two very serious diseases for cats. Both diseases disrupt the immune system, allowing other infections and even cancers to harm your cat. These viruses can hide in your cat's cells and avoid detection for months or years. Your cat may not ever show symptoms or signs. About 3-4 million cats, or 2-3% of the cat population in North America are infected with one or both of these diseases. FeLV is spread through mutual grooming and shared food/water bowls. It is most often seen in multi-cat households. FIV is most often spread through fighting and therefore is more likely to occur among outdoor cats. Neither disease can be transmitted to people. These viruses are related to the human AIDS virus, but they won't infect you. All cats should be tested for both diseases. Talk with your veterinariary staff about how to keep your cat safe and how to avoid risk factors.